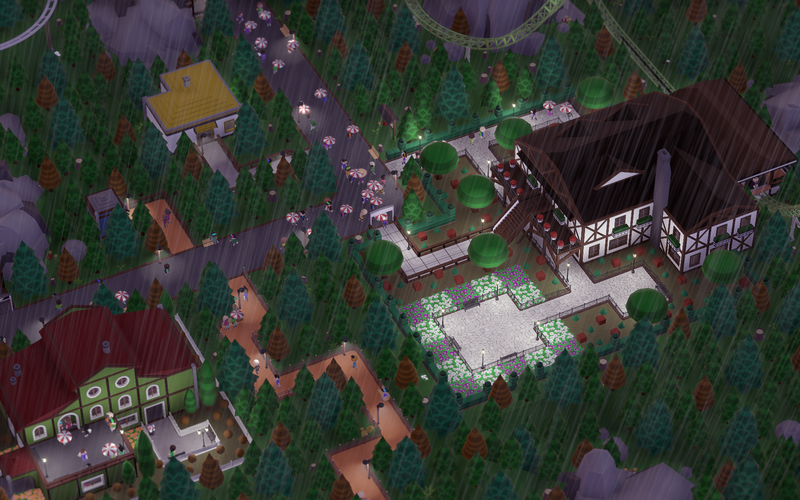 Story 2014-09-02 2S05 Parkitect Theme Park Simulation Game on Kickstarter! 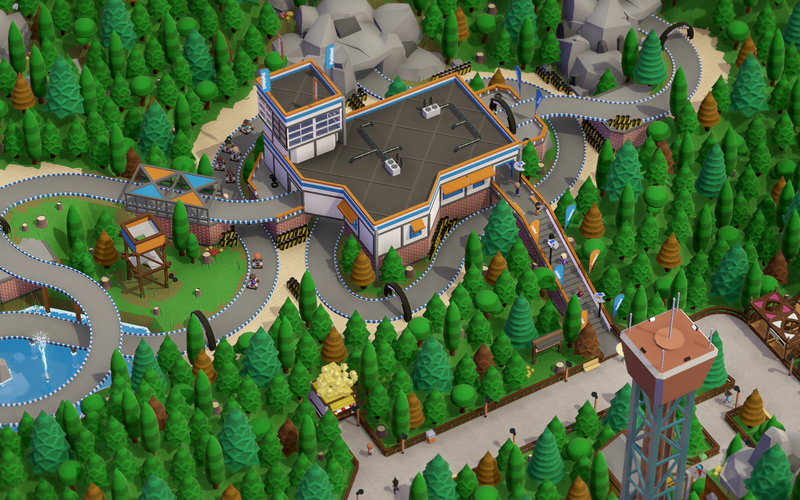 Parkitect Theme Park Simulation Game on Kickstarter! 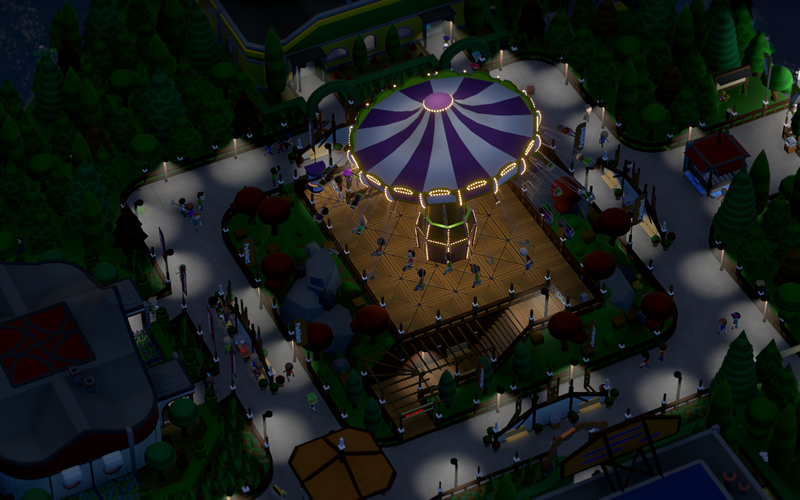 Not sure what you're doing at this very moment, but whatever it is, it's probably not quite as fun as designing a theme park full of roller coasters, icecream stands, and the rest. 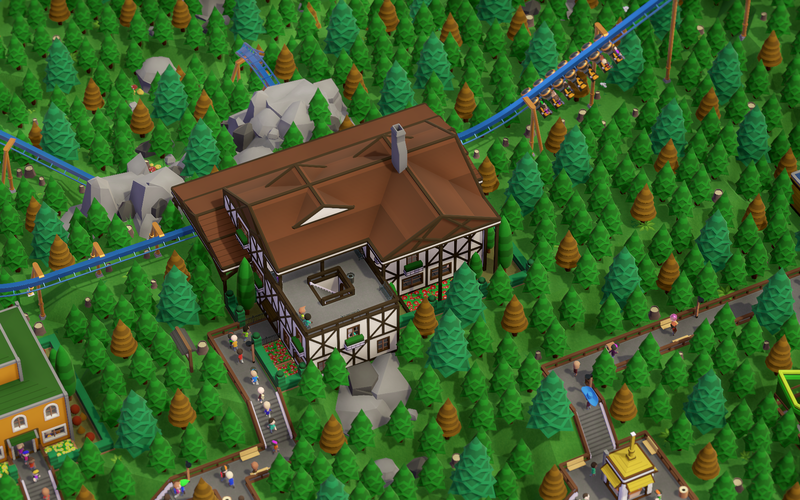 Enter "Parkitect" to relieve you from your misery. 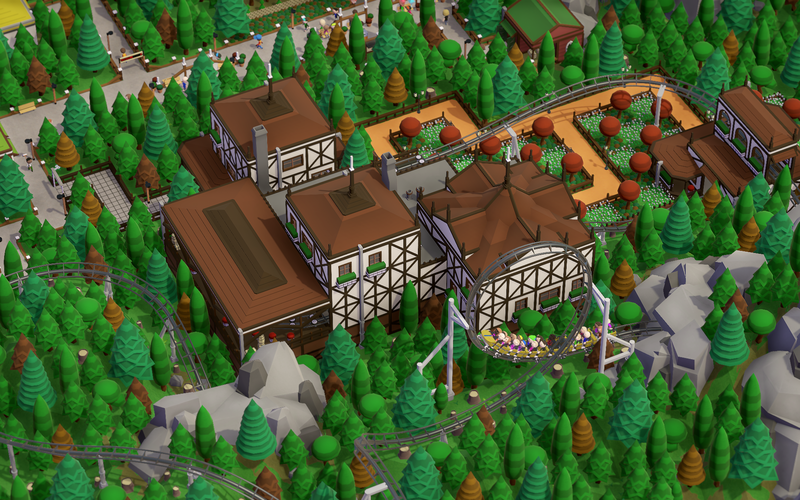 "http://www.themeparkitect.com/Parkitect is a simulation game where you get to build a successful theme park! Design roller coasters, install shops and thrill rides, and top it all off with incredible scenery and dynamic landscapes. Management is key: you'll have to look after employees, resources, and park infrastructure. Fail at that and face the consequences! Unhappy cashiers might annoy guests, unhappy custodians will leave your park a mess, and unhappy ride maintenance teams will leave your guests a mess." Looks like the game doesn't officially exist yet, but check out the kickstarter to begin, and the current plan is to get the game into alpha and onto Steam Greenlight/Early Access by August 2015. Below are some more follow-on URLs if you're curious. Or I could play Roller Coaster Tycoon. Maybe I'm missing something, but this seems like the most blatant copy I've seen yet. I thought Tycoon only let you design the coasters, not manage the whole park - maintenance, cleaning, concessions, and the like? This seems a bit different. No, there were cleaning staff, food and drink stalls, and stuff broke. Part of what made RCT popular is that you could just play around with the rides, get way into micromanagement, or anywhere in between. The only new thing here I saw is that you need to manage supplies as well. Why in the world is this "article" here? Because someone took the time to submit it to the pipe, and I found it interesting. If you'd like to see other types of articles, you know where the submit button is. Meanwhile, if you don't like the project, feel free not to fund it. So if someone were to submit a piece about some artist you like who's trying to pay for making a new album on Kickstarter, you would post it? There have been plenty of great articles recently -- I really wouldn't expect that "because it's there" is a coherent reason for something making it to the front page of the site. Can you elaborate a bit on your editorial decision process -- is it truly as simple as "it's there, I found it interesting, so I hit the green button"? No other inputs to the decision process? It's not like folks are submitting tons of articles left and right here. I also found it interesting, as I loved the original RCT games, and had not yet heard about this project. If more folks submit more articles, then there's a process of sifting through the junk to find the good stuff. If there's only a handful of articles submitted then there's no reason not to post them all. Seriously ... we'll cross that hypothetical bridge if and when we ever come to it. The pipe remains almost totally dry, and even the most cursory glance at the history (http://pipedot.org/pipe/history) shows most of the content here was written, edited, and posted by yours truly. So I aint takin no guff from no anonymously cowardish troll, thankyaverymuch. And if you dislike my editorial preferences, well we could use a couple more editors helping around here, now that you mention it. :) Apology accepted, my anonymous friend. I hear you loud and clear about the quality of this submission (although it was interesting to me). But I feel bad that on a site with so few submitted articles, the guy who finally takes the effort to submit something gets it rejected offhand. I won't publish any old thing, but in the short term, it seems like bad manners unless the article really is off topic. When we have the luxury of more submitted articles, the voting mechanism will determine what makes it to the front page and what doesn't. Unfortunately, that's not our problem. 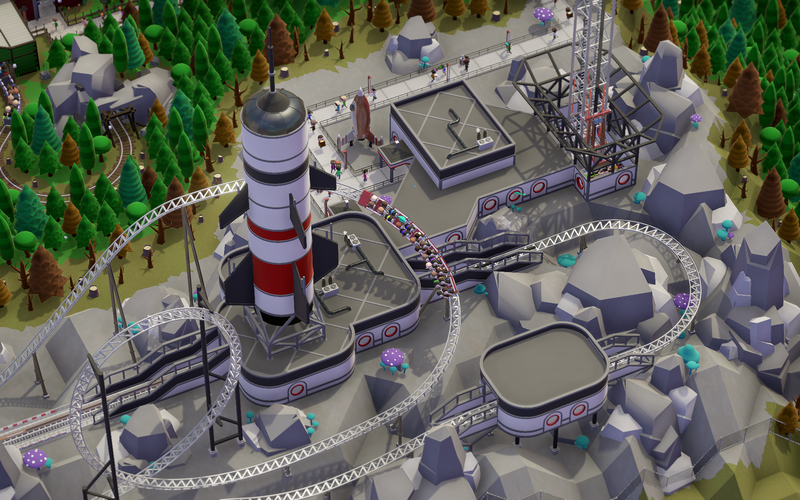 It's about a computer game - one that reminds us a lot of Rollercoaster Tycoon / Theme Park. And the article was posted at a time when this game was not making any headlines (first I heard of it: here). I'd say that news on upcoming video games - especially ones that link to "games of our youth" - can definitely be posted here. And yes, that's a vague definition. Which is why we have editors. It's the editors' job to pick the stories that make the site better/more interesting. And I think Zafiro did a good job with this story.